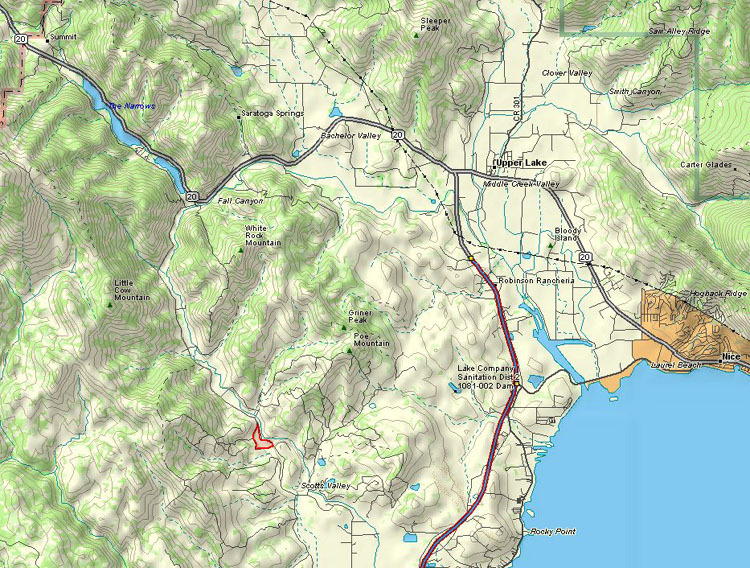 These maps should help you learn where NOT to land on the way around the west side of Clear Lake. Please respect her wishes. 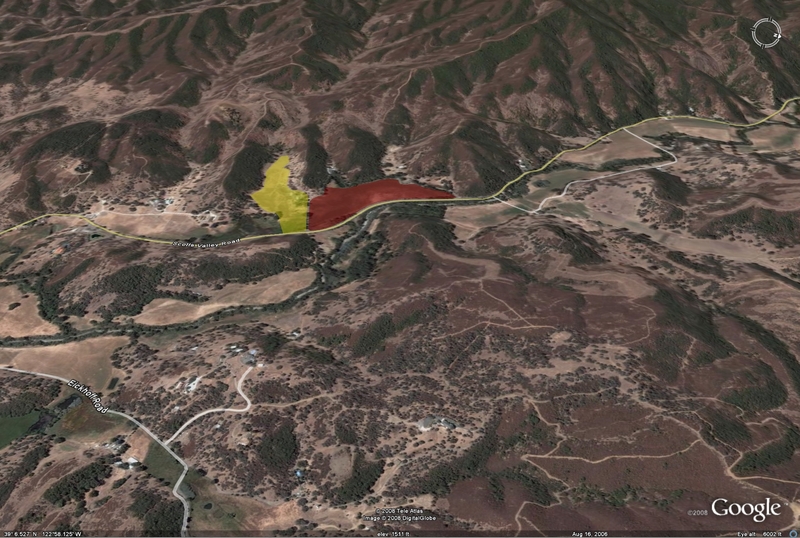 We don’t fly over this area very often, but if you think you might, familiarize yourself with the location of this field and avoid it. 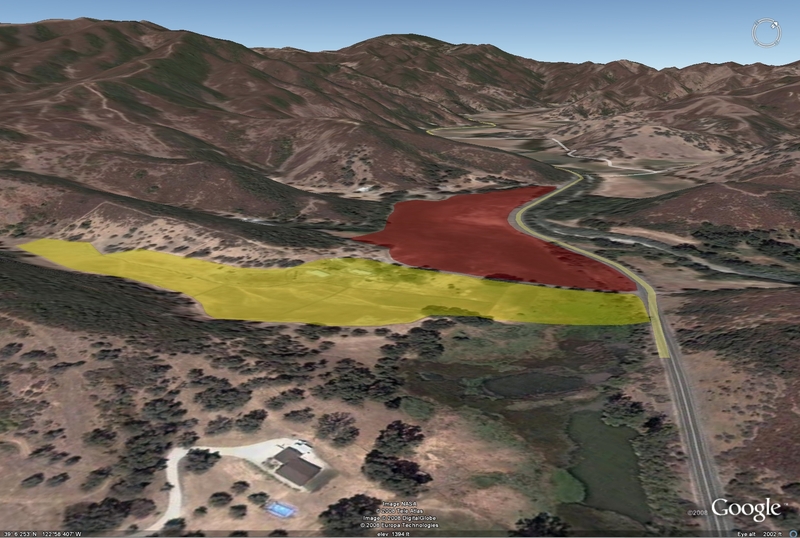 Overall view, showing the Do-Not-Land field on Scotts Valley Rd. 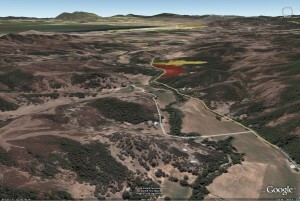 Approaching the DNL field (colored red) as you fly along Scotts Valley Rd. You can see Lakeport in the distance. You are facing southeast, 4000ft. MSL. Closer to the field. You are facing southeast, 3000ft. MSL. 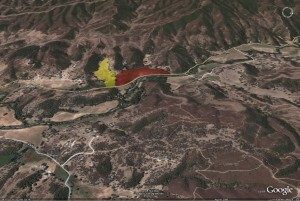 Another view of the area. 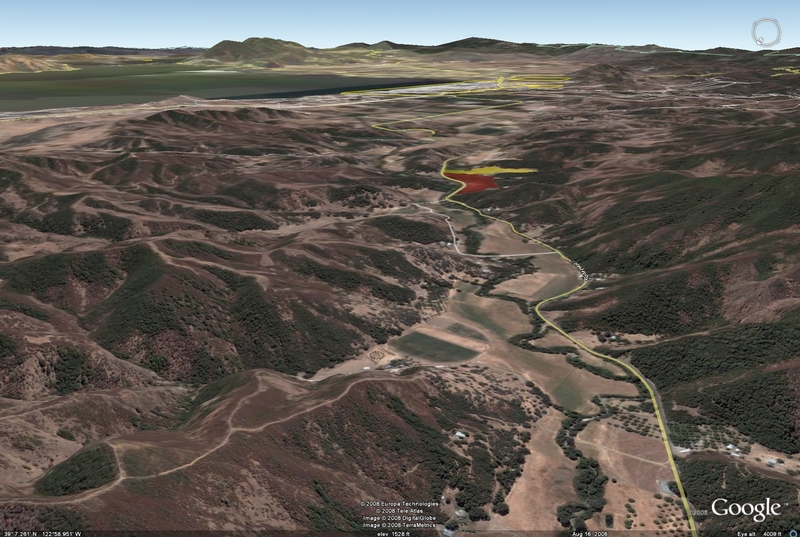 You’re at 6000 ft. MSL, looking west. The DO NOT LAND field is shown in red. The CAN’T LAND field is shown in yellow. You’ll notice that there are other possible emergency landing fields in the area. If you find yourself having to land, look for a spot that won’t endanger you or upset landowners. 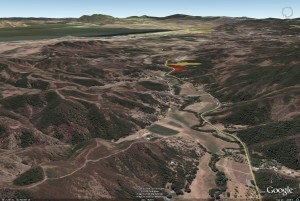 Better yet, make sure you’re at 6000 ft., and you won’t have to worry about landing! Maps © Delorme, © Google Earth.